I'm still really just playing with the chalk paint...layering, figuring out it's differences from latex. Before I start working some some bigger pieces of furniture (dining set, bedroom set), I've been experimenting on smaller side tables, frames, and this footstool. I first painted it in Duck Egg Blue and added a layer of the Old White, but thought it needed something else to go with the fabric I had on hand to recover the old cushion. I then added a coat of French Linen, distressed, and (waxed). 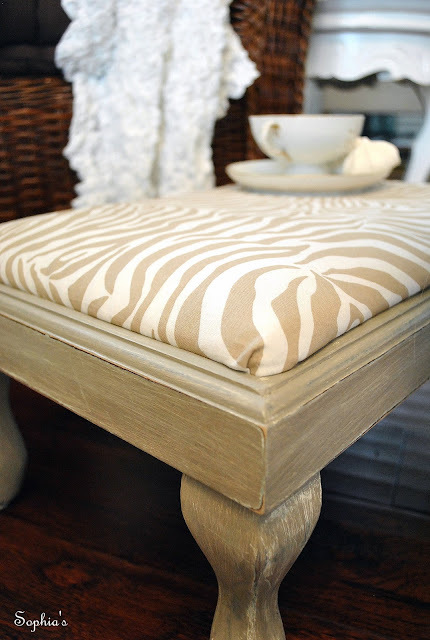 I love how easy it is to get the paint to reveal all the layers... an easy way to transform an old tired $10 stool! 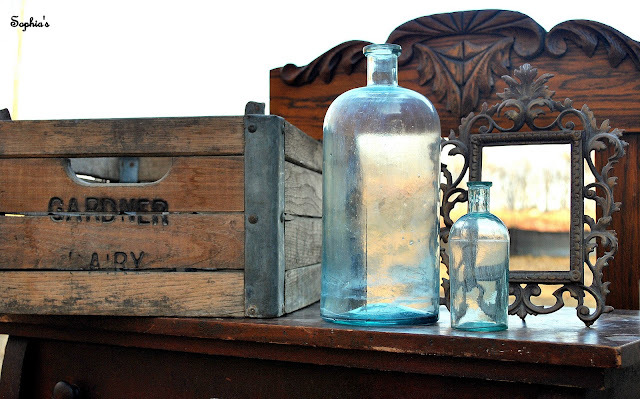 I'm always drawn to old bottles, particularly in this color! I spotted the "Gardner Dairy" milk crate on my way out and just had to grab it for my mom. Her last name is Gardner AND she owned the dairy farm that I grew up on. 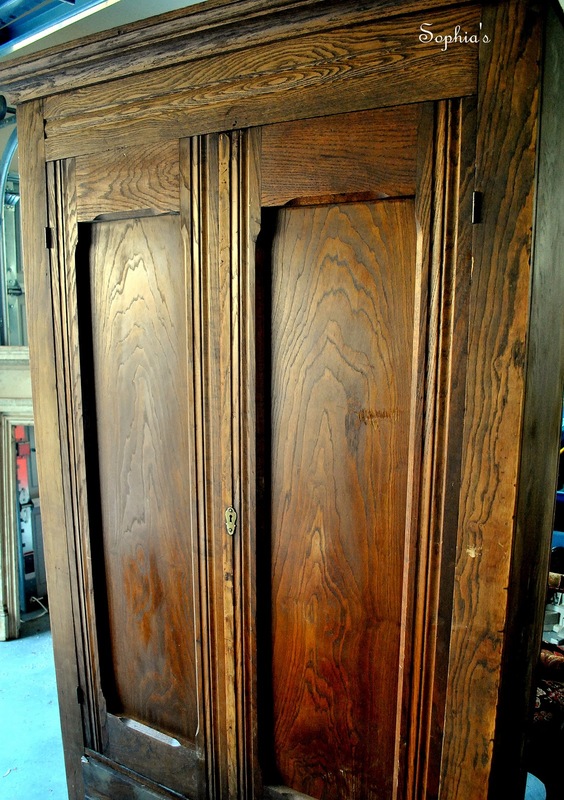 Last, but not least, I scored this solid antique armoire. It is heavy! It's got the most beautiful wood that I will not be painting over. Sorry about the terrible lighting in the garage... I'll show more of this beauty when I get it all cleaned up. In all, it was a pretty great weekend! I love your take on chalk paint. I have been waiting to try it and you have inspired me....especially the comment about the layers. BTW....I wanted to invite you to stop by my blog. We are having an "impossibility" challenge for 2012! You found some amazing things at the Raleigh flea market. I always find something there I love and can't go home empty handed! My you did get a lot of furniture. Hope the flea market is good this saturday as I am hoping to head out. Can't wait to see it all. Your footstool is adorable! I just redid mine but used homemade chalk paint! 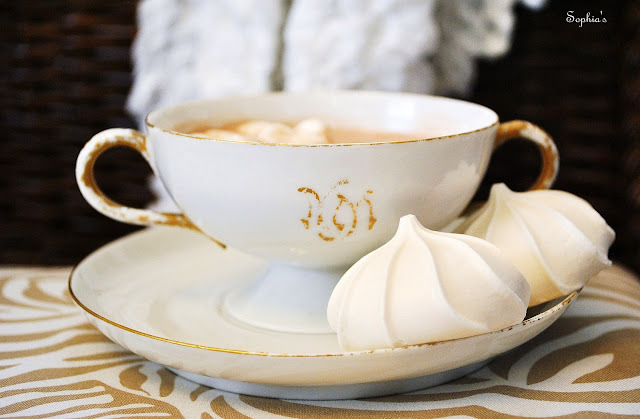 I have a current post about the homemade chalk paint. Like you I'm addicted to this great form of painting! love your new pieces, can't wait to see what you do with them! 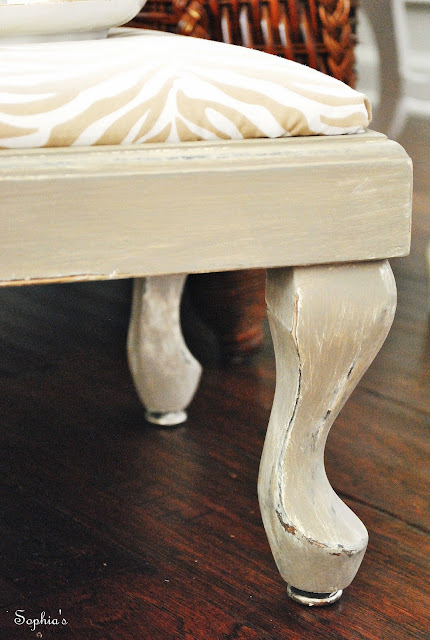 Your finds are gorgeous and your footstool turned out so beautifully. I NEED to try ASCP, I haven't yet, but you make a very convinving case for it. I love your armoire--I've read that they are losing popularity, but my mom had about 5 of them in our house when i was growing up, and I've always loved them. 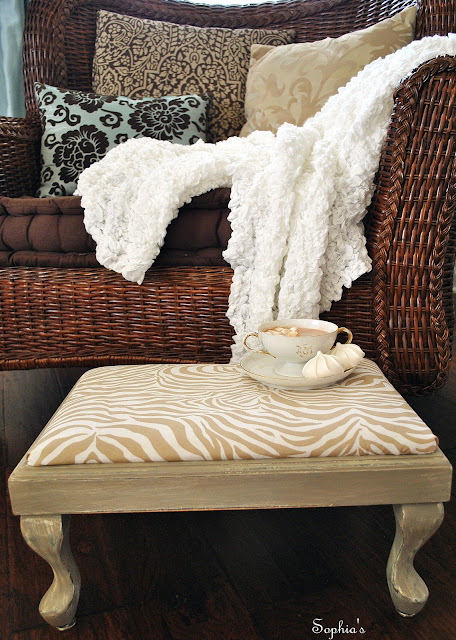 Thanks for sharing your great finds and ottoman makeover. Great Finds!! 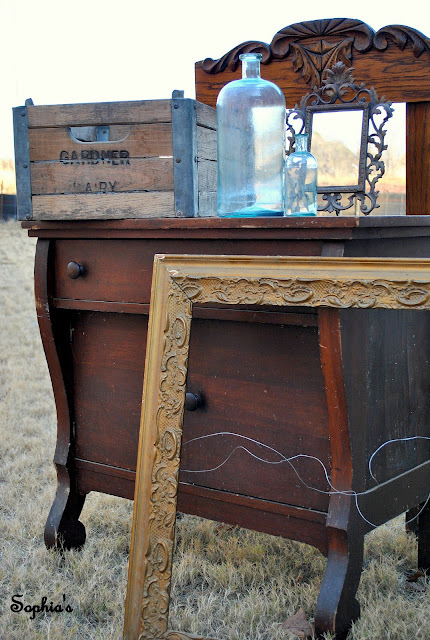 We, too, have just discovered the joys of chalk paint. AWESOME!! My mom just redid a dining table and a bunch of other stuff. I am heading up to Sandpoint this weekend to do multiple furniture pieces. Instant gratification is right! !